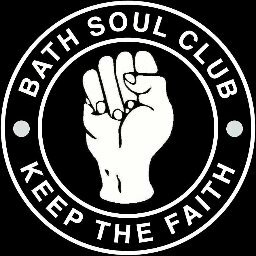 Due to unforeseen circumstances, the Bath City Supporters Society Committee have rearranged the IGM / Q&A session. Apologies for any inconvenience. Please could you submit any questions in advance to bathcitysocietycommittee@gmail.com There will be opportunities to ask questions on the night also. was it a known unforeseen or an unknown unforeseen? and does one need a Tardis to go back to the start of the year? I am assuming it is the 2017 IGM that has been rescheduled for next year but when was it scheduled for in the first place? In the past sod's law has often decreed that meetings arranged for Tuesday evenings are scuppered by the team! Major Icewater wrote: I am assuming it is the 2017 IGM that has been rescheduled for next year but when was it scheduled for in the first place? It should have been held in either November or December, according to the Standing Order on Democracy and Accountability (see my signature for link). And the next informal Q&A should be in Feb/Mar - not sure if these two meetings are now being collapsed together? The IGM is run like a normal general meeting, with the only difference that the formal motions passed are "Members' Votes" rather than constitutionally binding resolutions. The Society board are however "obliged to consider, debate and respond" to Members' Votes. The formal announcement of the IGM should go out to members 14 days before the meeting (Jan 1, good thing I'm no longer secretary!! ), so members should be able to submit motions for Members' Votes from now until the end of the year - not sure if the Society Committee plans to send out the motion forms that usually go out ahead of AGMs? turnstyle13 wrote: and does one need a Tardis to go back to the start of the year?